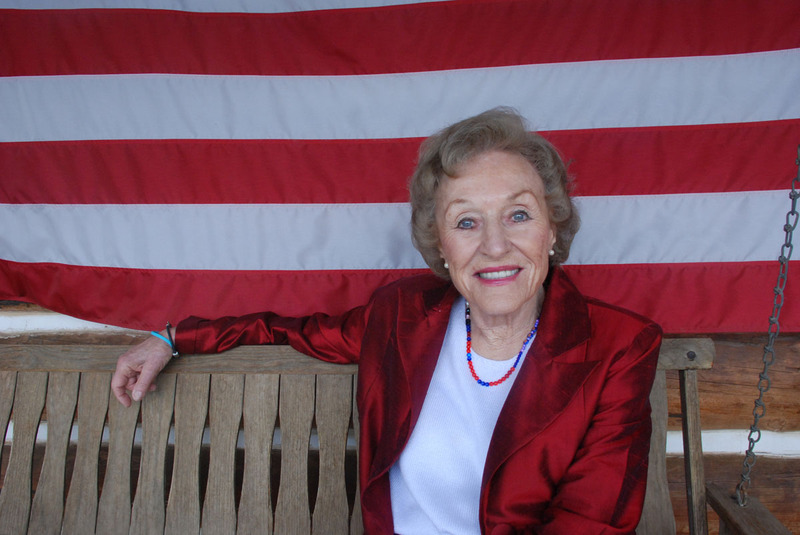 (Medora, ND) – The Theodore Roosevelt Medora Foundation (TRMF) and the many members of the Schafer family sadly announce today the passing of Sheila Schafer. She was 90. Memorial details will be forthcoming as family and friends from around the nation are notified of the passing of our beloved Sheila. Sheila was born May 17, 1925, as Sheila Chinn and spent much of her youth surrounded by some of the most talented big band and jazz musicians in the country that her father had contracted to perform in Fargo’s Crystal Ballroom. She studied drama and starred in several stage productions herself. Sheila was the star of every room and the light of every gathering. When she and Harold Schafer married in 1965, it was the love of a lifetime for both of them. They brought two families together into one and celebrated their love for one another by renewing their vows over 25 times through the years. And they shared their love with so many – from family members, to friends, celebrities, and the people of North Dakota who they especially hoped to share their happiness with. When the Medora Musical opened for the first time in 1965, just days after they returned from their honeymoon, Sheila and Harold were the faces of the new, family-friendly show and of Historic Medora. Together with their family, Sheila and Harold rebuilt many parts of historic Medora by investing large sums of their fortune, eventually donating the entirety of their Medora holdings for the creation of the Theodore Roosevelt Medora Foundation. The dream they strived to achieve together was to offer good, clean family entertainment in a place where families could be together. They worked tirelessly and excitedly on that dream together until Harold’s passing in 2001, when Sheila became the remaining heart of Medora. The dream they shared together, the Medora Musical, celebrated its 50th Anniversary in 2015, with Sheila Schafer attending many of the summer’s 100 performances with her trademark excitement, hooting and hollering, and “Hi Band” waves to help start the show. Sheila Schafer was truly the heart and soul of Medora for many, many years and today we lost one of the world’s most wonderful, generous, and loving people. She will be missed deeply, but her legacy of love and life will be remembered and carried on through her many loving family members, her thousands of friends, and the millions of people she touched through her time on this Earth. High-resolution photos of Sheila Schafer can be found here. So fortunate to have known her these past five years, as I worked as a Foundation Volunteer! That front porch across from the Foundation’s business office will never be quite the same!!!! We are so saddened by the loss of this beautiful woman. Sheila’s love for life, generosity, kindness, stamina, energy, exuberance, and love for others is a true inspiration for all of us to live by. Our sincere condolences to her big big family. We will miss this shining light! Every time we met Sheila, she would always stop to say hi and tell us what was new in Medora. It will be lonesome when we come out this summer, not to be greeted by Sheila as we pass her home. She was truly the spokes-person for Medora. May you rest in peace Sheila, and God Bless You. Great memories of Sheila and getting invited to their beautiful log home for cookies with the volunteer crew during our first years as volunteers. The cookies were homemade by Sheila and Nancy Schafer. What a treat!! What a gracious lady!! She always had a a special warm greeting and thank you wherever you met her on the street. What a roll model in today’s world!! Sheila was truly a wonderful and generous lady, and loved by all who had the privilege of knowing her! We heavy hearts, we are all going to miss Her so much! Every time we volunteered in Medora, we enjoyed This beautiful lady! She was always so friendly and talked to all of us! So delightful!